This may sound a bit like a rant, and I suppose it is really, but I’m tired of having this conversation so thought it would be easier to just point to a post. It’s semantics but being clear on what we are discussing is important, especially when business change is involved. I hear a lot of people talk about engagement today. We’re trying to get employees engaged, and customers and partners; probably even our significant others and children too. The problem though, is that engagement is not something that we control for others, it’s a mental state that is completely controlled by each individual. Experience on the other hand is something that is created. The reaction to an experience is also not in your control of course, it’s an outcome and again, individual. Software companies lately like to talk about providing solutions that create engagement. Customer engagement, for example is a really hot topic. I do agree that trying to create customer engagement is a part of the right strategy for companies today. The problem though comes back to what we’re actually doing, what we can control, and what is an outcome and not in our control. Understanding that is a critical part of building a customer strategy, or as I’ve called it before, a customer experience model. The thing you can build, as a company focusing on trying to engage customers, is a potential positive experience that could lead to engagement. In the CX model, creating touch points that build on the positive experience model is the way to potentially create customer engagement. Each of those potential touch points should present a positive experience that could, when taken overall create engagement. Whether it does or not though, is not in the companies control. 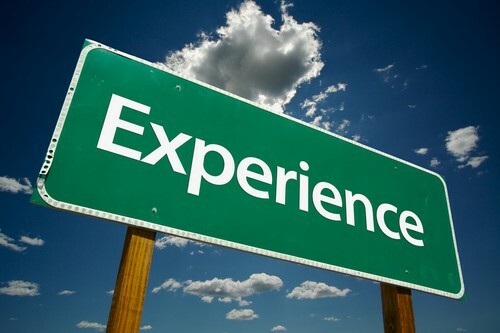 There is a problem when dealing with experiences though, the experience is built using the companies definition of a positive experience, which may or may not overlap with the customer’s expectations. The good news is that with enabling technology, what we call socialytics, there is a greater chance that the company can find out what the expectations are, or at least get a reasonable idea. The experience can then be individualized to create a greater potential for engagement. This same relationship between experience and expectation applies to employees and partners as well. Creating an environment for employees that has the potential to be engaging can in fact create higher engagement and increase employee morale. It’s not a simple concept though, there area a lot of components to an experience and to meeting employee expectations in a way that is engaging. Fundamentally though, you cannot magically create engagement across a board employee base through technology or process or policy, etc. It’s not directly in your control, so focus on what is, the experience. Providing collaboration tools, fixing incentives to encourage collaboration, building collaborative business processes, valuing collaborative work through out the management team, etc. all work to create a collaborative work environment. Does that create engagement? Well, it could if collaboration is indeed a valued component of a modern workplace and something that employees expect. By building a “system” of collaboration there is a good chance that employee engagement would increase, and thus morale and ultimately productivity…or at least it could, it has the potential. Building experiences for people that encourage engagement and meet expectations could increase engagement, and if creating engagement is your goal then that is as good as it gets in my opinion. Create the potential and increase it’s chances through individualization enhanced through technology (listening) and you can in fact influence engagement for customers, partners and employees…and maybe your significant other as well.